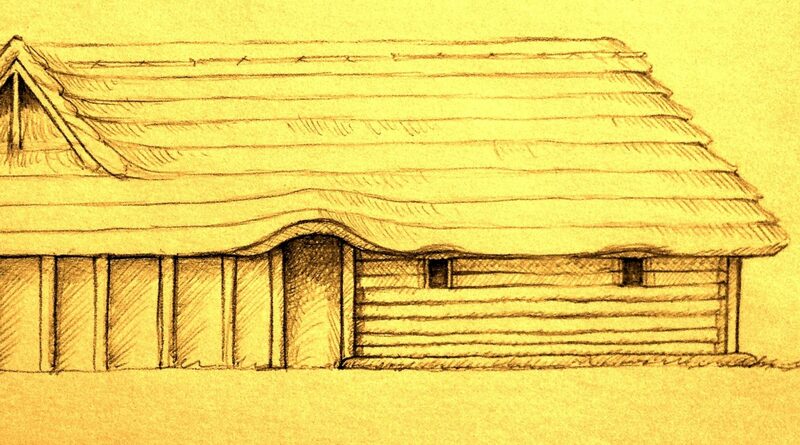 This week marks the formal beginning of this project on site. 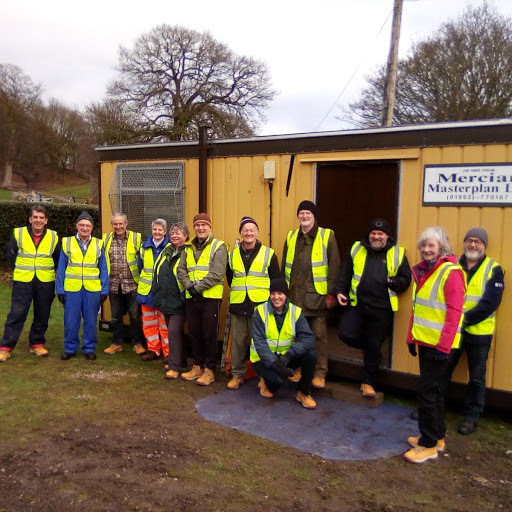 The volunteers arrived, keen and well wrapped up for the weather and to all our surprise, the weather has been relatively mild and calm! The team begin their first day on the project! 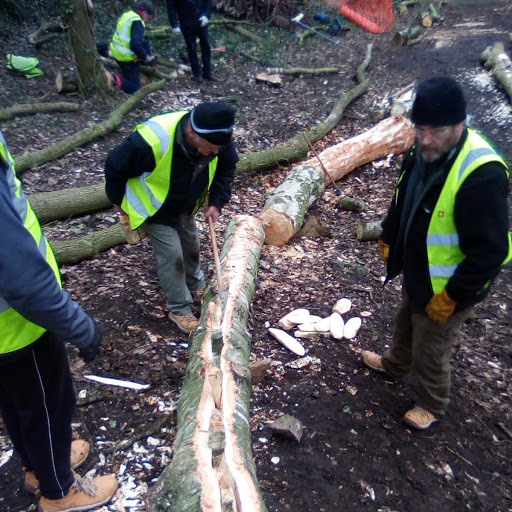 The aim of this first week is to introduce some of the essential methods and principles of moving, processing and working green timber to create the individual timbers for construction. 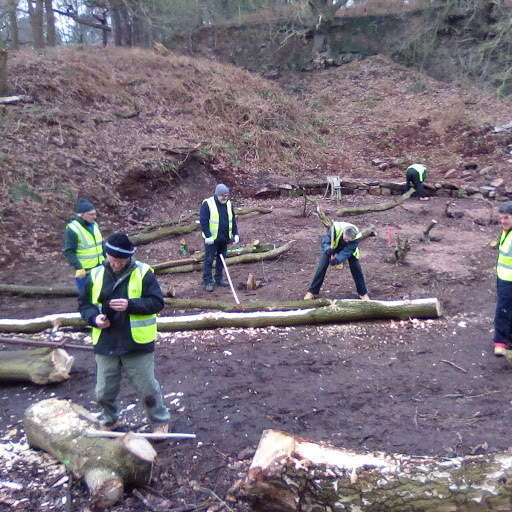 Organising and hewing the first structural timbers on site. My approach is always to do a little bit of essential talking, to outline the project and its construction phases, some of the thinking behind the structure (lots more discussions along these line will be had! ), but then to do a lot of hands on learning by practising skills and familiarise ourselves with tools and processes. Experimenting with some beautiful bronze tools kindly loaned to the project by Edwin and his son Robin Wood. 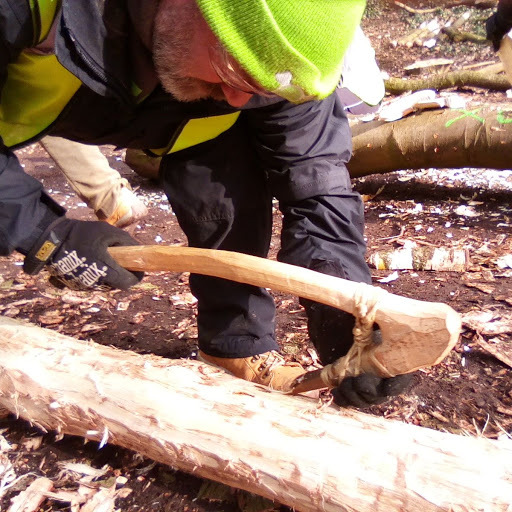 This has involved learning how to move large and heavy things safely using a variety of methods and tools from bars, long tongs, timber arches, and more traditional methods such as Spanish windlasses. The key to all of these tasks is teamwork, organisation and clear commands given by one person! 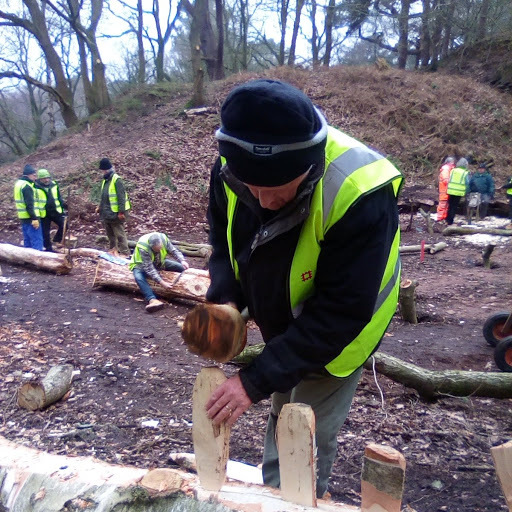 This week is also focusing on identifying specific construction timbers from the piles of available materials we have and then using tools to prepare those timbers to the right length and shape. Tapping in the wooden wedges to direct a split. Debarking is one of those early jobs that simply has to be done. Removing the bark and sometimes the sapwood of particular species will prolong the life of a building structure and discourage the actions of boring insects. At a later date, another way of achieving this is will be to ensure a regular fire is lit inside the building as soon as it is finished! The smoke is very effective at discouraging insect action – especially in the natural smoke zone of the roof frame. Beginning the epic task of bark stripping! The weather is finally becoming seasonal towards the end of the week with high winds and heavy winds forecast. We will have to see how sheltered the construction site is and to what degree adverse weather will affect our work over the coming months! 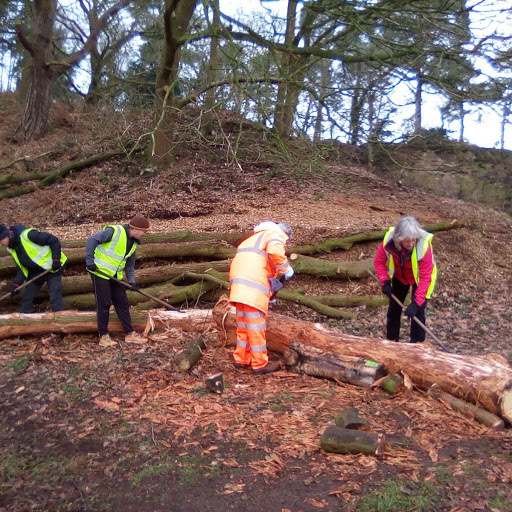 The volunteer team are bonding very well, with everyone keeping a close eye on each other and being very careful with some unfamiliar tools and processes. Our only issue at the moment is a general reluctance to stop for breaks, due mainly to the walk back down the hill to the cabin!